After twenty years, as this global phenomenon continues to grow, the riders are more determined then ever to congregate in the name of fun, friendship and freedom, spontaneously collaborating to create streets without cars. 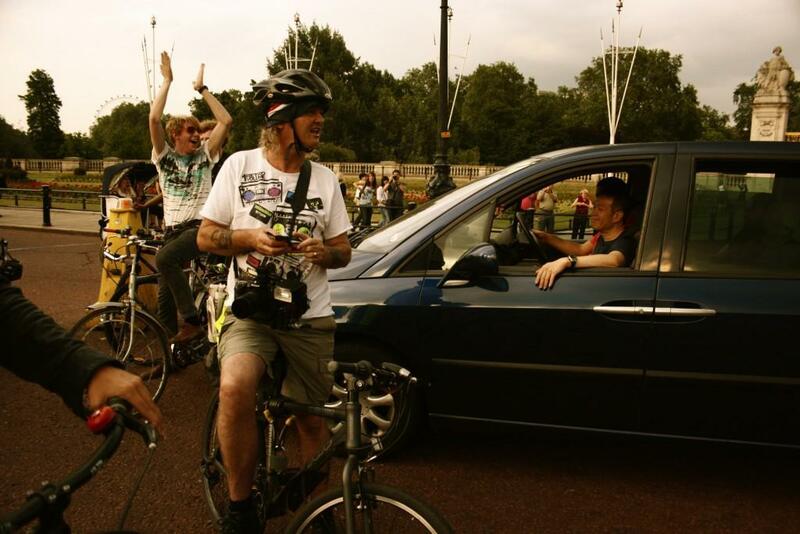 For twenty years, in an increasing number of cities around the world, cyclists have united on the last Friday of the month to take over the streets. 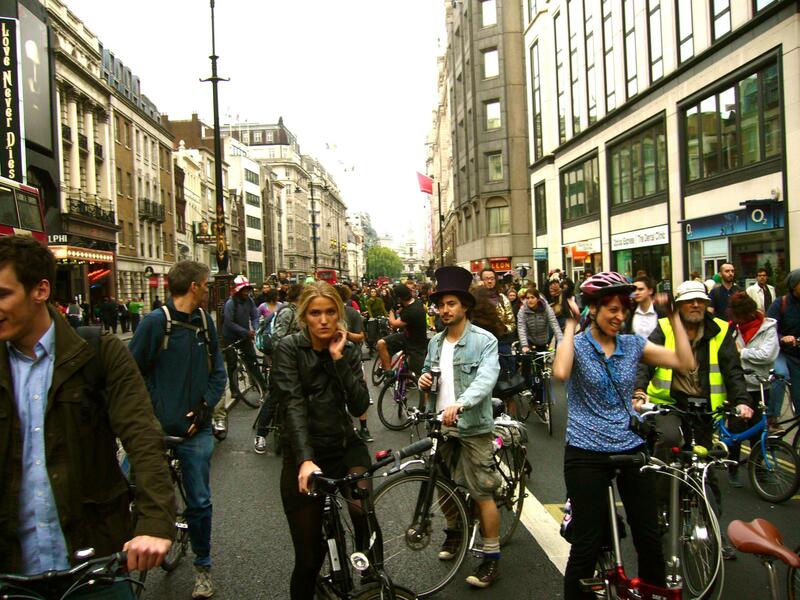 Known as Critical Mass, these mobile, social and celebratory events involve a sufficient number of bicycles to dominate road space; a safety in numbers approach comparable to giant shoals of fish or flocks of birds. The self-organizing nature of such phenomena, where group behaviour emerges spontaneously through the interaction of individuals, is part of the thrill for riders. They move from being solo and vulnerable to becoming part of a surging, whooping herd. For many participants, this global, cycling phenomenon is an important and highly symbolic gesture in support of a switch to human-powered mass mobility, which they believe could contribute to making cities healthier, happier and freer flowing. For others, it has simply been about the fun of the ride. 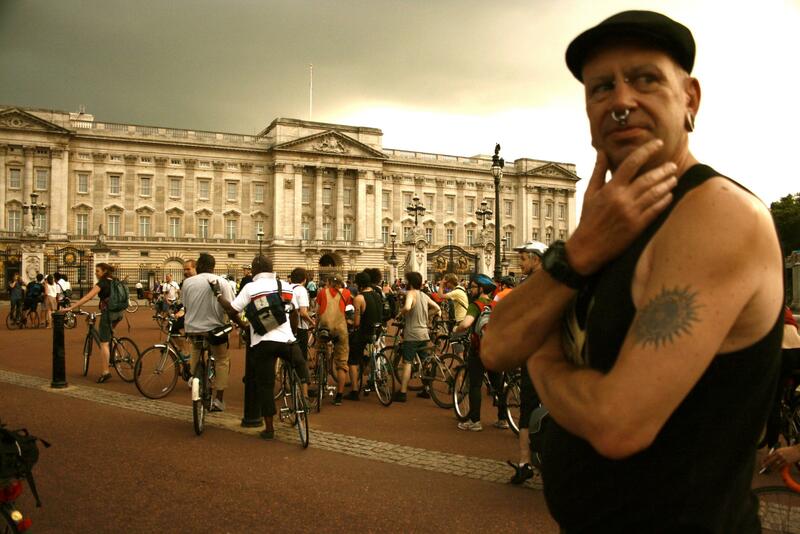 The first Critical Mass took place in San Francisco in 1992 and it has since spread to hundreds of cities around the world, with the London event sometimes attracting up to 2,000 cyclists. 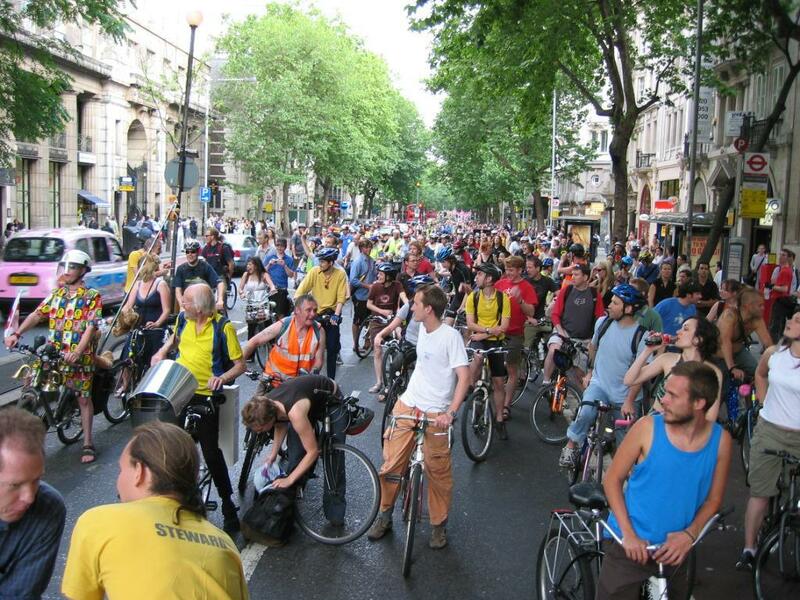 The highest attendance at a critical Mass event was in Budapest in April 2008, where an estimated 80,000 cyclists took part. 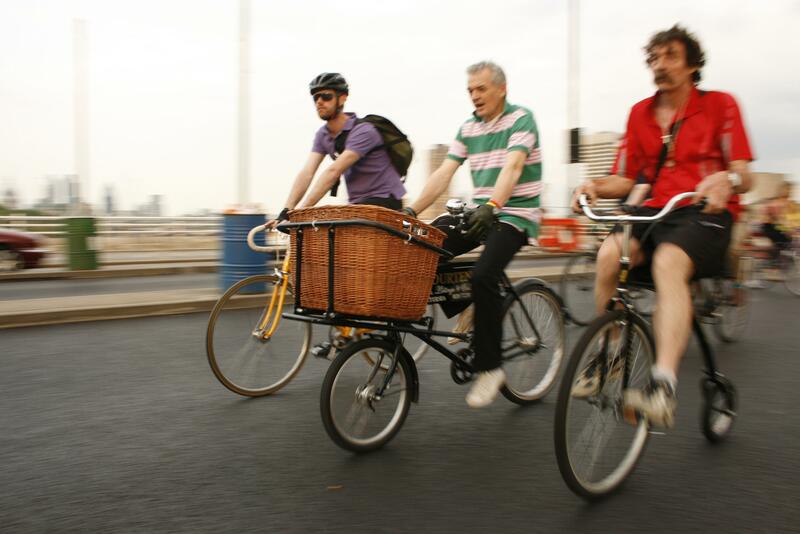 All the rides have a local flavour but share the same sense of camaraderie, purpose and fun. ‘The Mass’ is diverse, composed of people of all shapes, sizes, colours and affluence, bound together by the shared love of self-propulsion and the desire to reclaim the streets and celebrate their freedom of movement. There are often mobile sound systems creating a party atmosphere and for many the ride will end in a favourite park or pub. The meeting spot in London is in front of the Royal Festival Hall on the South Bank at about 6:30pm. The air buzzes with excitement as friends reunite. 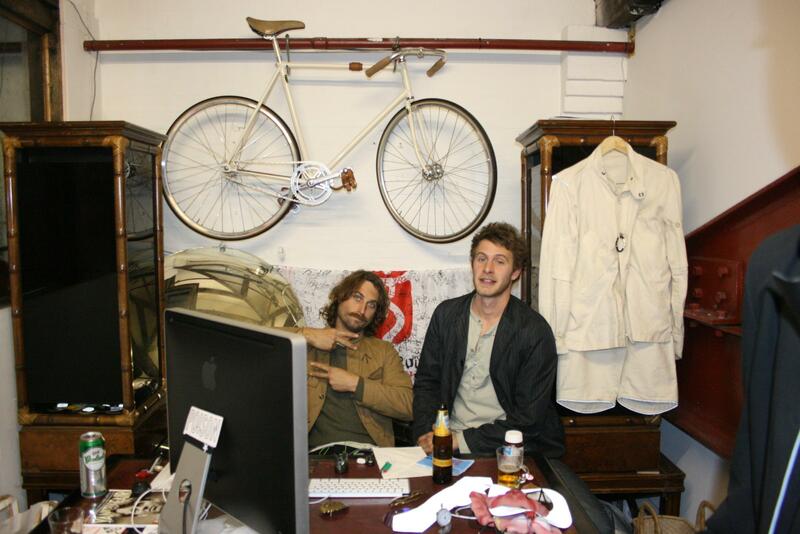 Drinks are cracked open, bikes admired and tales of surviving on the city’s mean streets traded. Soon the crowd swells like water behind a dam and the air is filled with a crescendo of dinging bells. Anticipation gives way to urgency and the cracks in the dam appear as the first riders head up the ramp to the Imax cinema roundabout and off into the heart of the city. The hive-mind has been engaged and without an agreed route or leader, the peloton surges forth to find its way to an unknown destination. The response of the Metropolitan Police has varied. For many years the Met would provide a phalanx of police outriders on bicycles who would actually stop the traffic. However, tactics changed in 2006 and police no longer accompany the rides; a development the riders I spoke to suggest may have led to an increase in confrontations with drivers. However, the police presence has also been controversial. 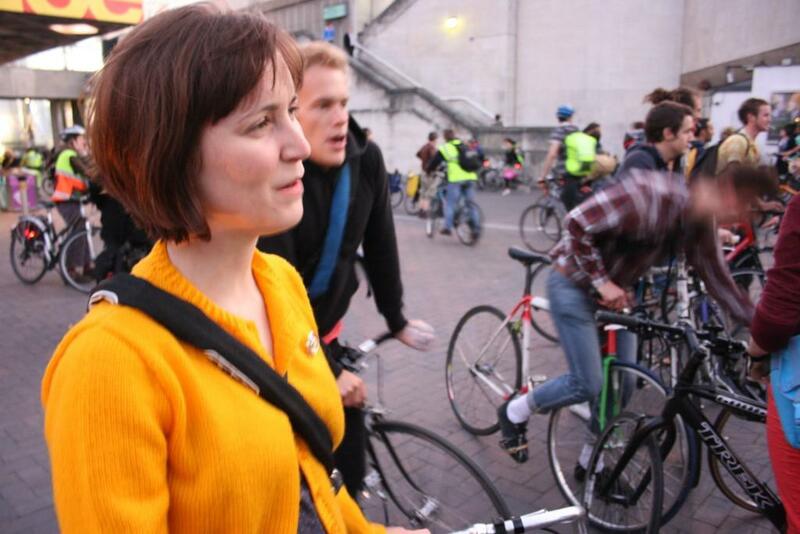 Emily Woodhouse reports a bad experience, saying she was pushed over by a policeman, but she feels strongly that cyclists should avoid confrontations. A difficulty for the police was the seeming lack of structure to the rides, with no single organisation behind the events, no spokespeople and no agreed route. 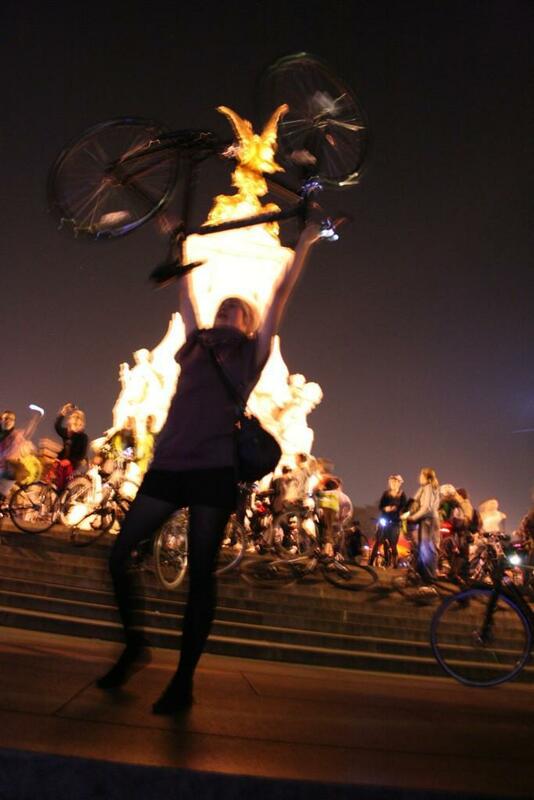 But for many taking part, it is exactly this freewheeling, collaborative spirit that draws them in. Many participants are increasingly encouraging the rides to become more explicitly positive, with a message based around the improved lifestyles that cycling could bring about for city-dwellers. Setting an example for the way forward, a new Leicester ride has been described as “a two-wheeled charm offensive,” with a different theme and dress code every month. 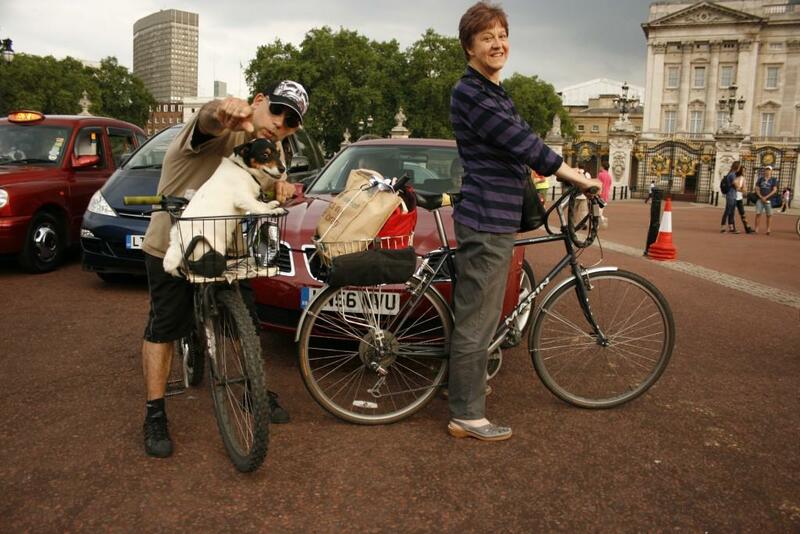 Approximately 2% of journeys in London are by bicycle. Copenhagen, in comparison, sees almost a third of all journeys in the city being taken by bicycle. It is also consistently rated as one of the world’s happiest places to live.